Congratulations to the Parlux 3800 Ionic and Ceramic Hair Dryer! 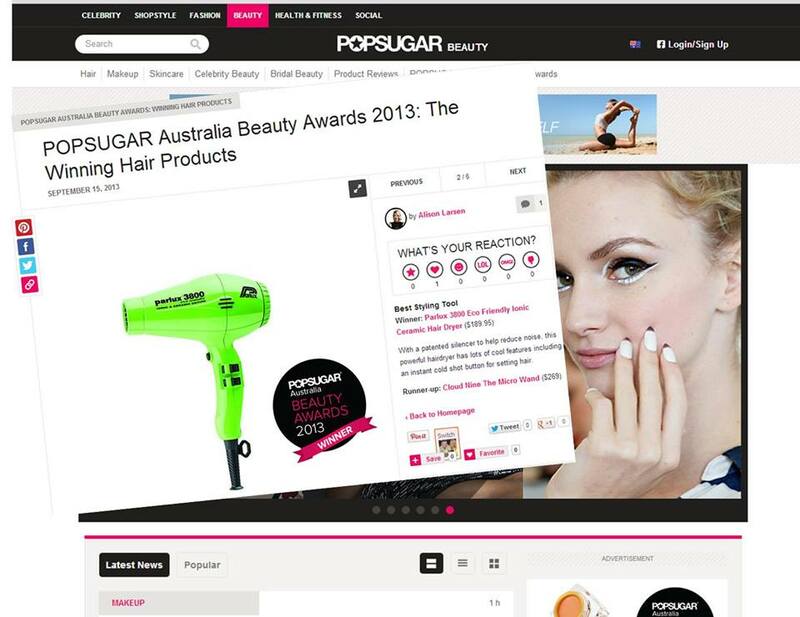 The Parlux 3800 has scooped the award for Best Styling Tool at the POPSUGAR Australia Beauty Awards 2013. Thank you to all who voted in the POPSUGAR Australia Beauty Awards. POPSUGAR Australia Beauty Awards is all about new and innovative products, so we’re thrilled to see the Parlux 3800 garner the recognition it deserves. The Parlux 3800 features the benefits of the award-winning 3200 and 3500 hair dryers but is much lighter and more powerful. With a patented silencer to reduce noise, the Parlux 3800 is a great hair dryer for the home as well as the salon. Importantly, the Parlux 3800 features ceramic and ionic technology for silky smooth and shiny hair without unsightly frizzies. The Parlux 3800 has a whopping 2100 watts of controlled power and more airflow to ensure your hair dries quicker and you waste less time slaving over drying hair. 6 speed/heat settings assist you in adjusting the Parlux 3800 to your hair type and condition. Oh, plus a cold shot button too for setting hair for all day sleek and shiny style! Check out the Parlux 3800 here. As you will notice, the Parlux 3800 is available in a variety of shades so you can match the colour of your hair dryer to your lifestyle! Pick from pink, purple, red, silver, white, black and, of course, green which is representative of Parlux’s ongoing commitment to the environment.